You won’t find them in the Bible, but many cherished Easter traditions have been around for centuries. The Easter Rabbit or “Oschter Haws” was introduced in the 18th century by immigrants from the Palatinate region of Germany who brought over their stories of an egg-laying rabbit to Pennsylvania. The decoration of eggs is believed to date back to at least the 13th century, while other traditions, such as consumption of Easter candy, are among the more modern additions to the Easter celebration. Years ago, on the eve before Easter, children would assemble nests made from grass and twigs, place them in a secluded place and then lay their hat in the nest, hoping they had been good enough to warrant a visit from the Oschter Haws, who would leave colored eggs. The tradition was that the rabbit had laid the colored eggs. Eventually, the custom spread across the U.S. and the fabled rabbit’s Easter morning deliveries expanded to included chocolate and other types of candies. Decorated baskets replaced nests, and children began leaving out carrots for the famed rabbit in case he became hungry from all of his hopping. The egg, an ancient symbol of new life, has been associated with festivals celebrating spring. Decorating eggs for Easter is a tradition that dates back to the 13th century. History says that eggs were formerly a forbidden food during the Lenten season so people would paint and decorate them to mark the end of the period of penance and fasting, and then eat them on Easter as a celebration. The German egg-scratching is similar to pysanky, which came from Poland, Ukraine and other Slavic countries. It is well-documented that Germans would dye their eggs and use them in conjunction with Easter. The tradition in Germany was to decorate the branches of trees and bushes with eggs for Easter, and when German immigrants arrived in Pennsylvania they brought this custom with them. They would hang colored eggs on branches of outdoor trees and bushes and on cut branches inside homes as decorations. 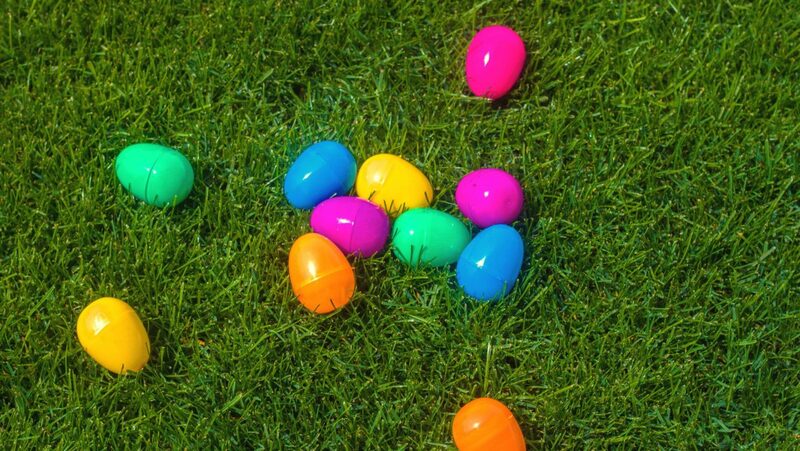 Easter egg hunts and egg rolling are two popular traditions. The White House Easter Egg Roll began in 1878 when Rutherford B. Hayes was president and continues as an annual event held on the Monday after Easter. Easter candy is a modern addition to the Easter celebration. Among the most popular sweet treats are chocolate eggs and jelly beans. The jelly bean became associated with Easter in the 1930s. According to the National Confectioners Association, over 16 billion jelly beans are made in the U.S. each year for Easter, enough to fill a giant egg measuring 89 feet high and 60 feet wide.